1. Documentation and recording of cave drawings. 3. Cave drawings in the Caribbean region. 4. 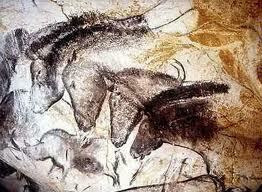 Man-made damage and conservation of cave art. 5. Automation and mathematical methods used to study cave drawings. 6. Management of cave art recording sites. Coordinator: Lic. Reinaldo Guerrero Guerrero. Various videotapes will be shown about recording works, cave art in national parks, parietal art sites and related topics. The screenings and communication table sessions will be held at different times. All tapes must comply with the standard NTSC 3.58 Mhz. the right immediately below the said headline. pages with 2.5-cm-wide margins on all four sides and 1.5 line spacing, to be e-mailed to the Organizing Committee before June 30, 2008 (see Workshop e-mail address). Length of Papers: Papers will have a maximum of 12 pages (including charts, photographs and references). Format: In Word 6 format or higher, using justified 12-point simple Times New Roman font style, with boldfaced titles, on A4 pages with 2.5-cm-wide margins on all four sides and 1.5 line spacing. Use of footnotes is not allowed. All notes will be referenced at the end of the paper. Illustrations, charts and photographs: A maximum of two pages with illustrations, charts and photographs will be allowed. All samples will be in JPG format. will be allowed per author, be they individual or collective. equipment, will be requested in advance. The Workshop is aimed at professionals, students and specialists related to and interested in the study, management, protection and preservation of cave art. Registration fees are: CUC $70 for professionals and CUC $40 for students (on presentation of the relevant documentation) until September 30, 2008. After that date, fees will be CUC $100 y CUC $70, respectively. Accompanying persons will pay CUC $50 until September 30 and CUC $80 after that date. Fees include: certificate of attendance, documents and CD with the papers presented, welcome cocktail, and collateral activities. All hotels are very near the "Antonio Núñez Jiménez" Foundation for Nature and Humanity, where the Workshop will be held. The above prices are expressed in CUC; the price for a double room in Hotel Montehabana, the nearest to the venue, is CUC $35.00 per person per night. Additional Registration Fee of $50.00 CUC.